The Mystique Of The Wilderness. 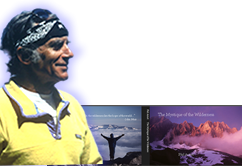 The Mystique of the Wilderness is being updated and re-published. Stay tuned for release dates. This inspiring photo essay by Phil Arnot, offers stunning views of some of the Wests most awesome landscapes.